Ok, its time to confess…. I’ve been cheating. Yes that’s right, I have another business/webpage. Several years ago we had the opportunity to acquire a lamp repair business. Granted, its maybe not the most high tech cutting edge opportunity you would first think of, but on the other hand it fits right in my wheel house. My hobbies have always involved building, restoring and repairing; be it motorcycles, houses, lawnmowers, sprinkler systems, mixers, lamps, etc., etc. When I went to college, getting a degree in Industrial Technology just seemed to fit. So, when one of my life long friends that had been repairing lamps and lights decided to give it up and move to the country we jumped at the chance to keep the light burning. So with that said, we started Dallas Lamp & Light. 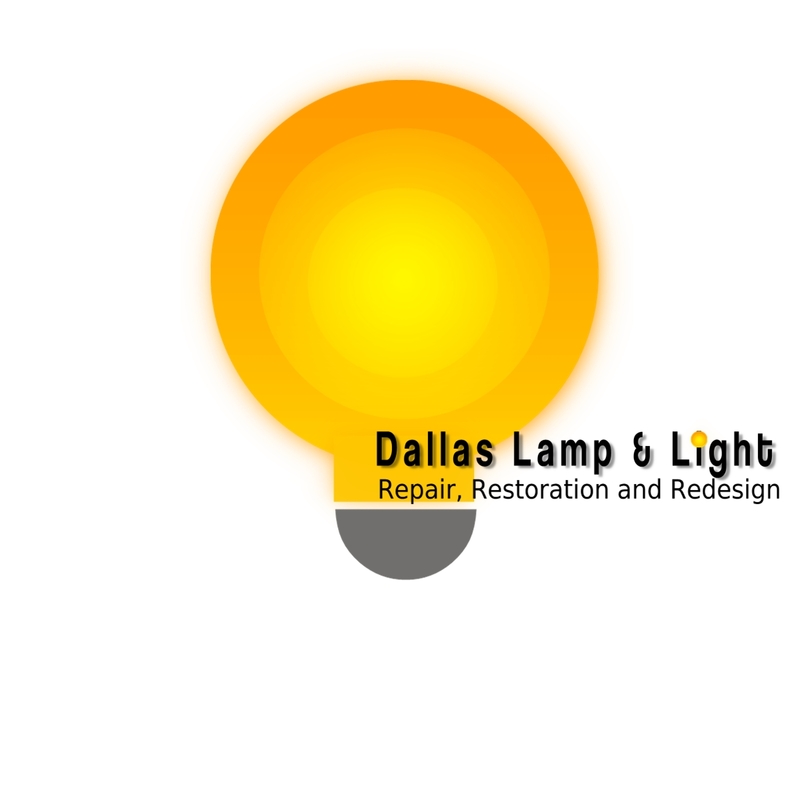 Dallas Lamp & Light is a locally owned WhiteRock/East Dallas business specializing in light fixture repair as well as complete lamp restoration and redesign. Electrical rewiring is our core competency but we also have the expertise and facilities to perform full rejuvenation including surface restoration of metal, wood and ceramics. Look to Dallas Lamp and Light to bring light back to your lamps and fixtures. If you are local to the Dallas Ft. Worth metroplex, or want to pack up that lamp and send it to me, we can help put the light back into most any lamp. U.S. EPA studies report unintentional carbon monoxide exposure accounts for an estimated 15,000 emergency department visits and 500 unintentional deaths in the United States each year. Many of us only go to the attic for one reason; to get Christmas decorations. Its real easy to get the boxes and go, but there are good reasons to check things out while you are there. This picture is a combination of venting that should not occur. Hopefully you won’t find this during your inspection. Recent activity: HVAC technicians, roofing activity, telephone repairman or remodeling activity are all reasons to make these inspections. Once a year “at Christmas Time”!! 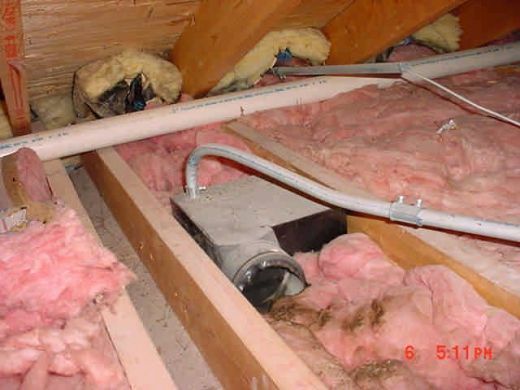 What to inspect in your attic: As you should know, there are several devices in your home that requires venting, including water heaters, stoves, vent-a-hoods, wall heaters, clothes dryers and bathroom vents. Catagoricly these have different function as well as outcome associated with it, if it is not functioning properly. 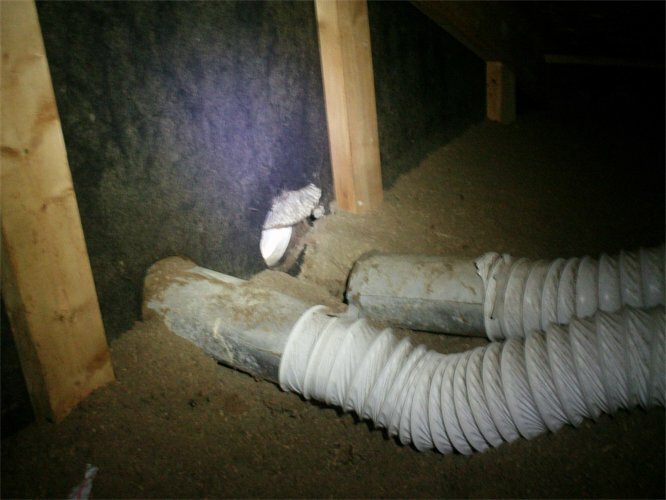 The following 4 pictures show what good vent pipes should look like. The bad ones are all together at the end. Water Heaters, vent-a-hoods, wall heaters, stoves and HVAC systems: Any of these devices that use natural gas and require proper venting to exhaust the fumes from the burners (carbon monoxide) require an outlet. 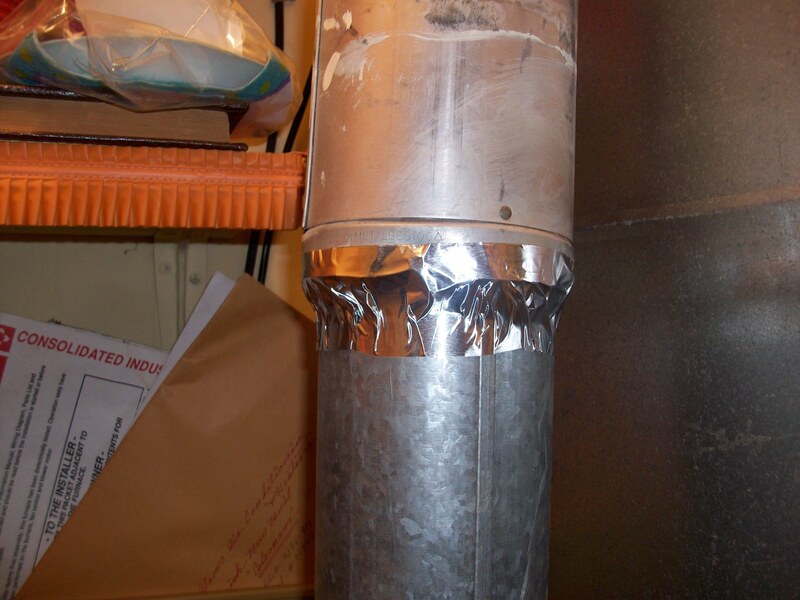 Typical vents consist of a tin pipe 2″-8″ in diameter connected from the top of the unit, then exits directly above through a roof vent cap. For years it was common to find these tin pipes just loosely fitted to each other on their way out. For this reason they are very easily knocked loose or disconnected. 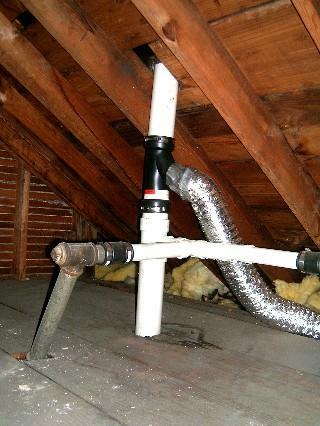 Current building codes now require the joints of these pipe to be secured and air tight. As seen in the first picture, the bends have been coated with HVAC mastic to complete the seal. The second picture is a water heater that was secured (screws holding the pipe together), but lacked the seal. We used standard HVAC aluminum tape to properly seal it. Clothes Dryers: If the dryer is electric, the only vent would be the standard dryer vent. If it uses natural gas it would have a vent similar to those in item #1. It could be vented out the roof or to an outside wall. 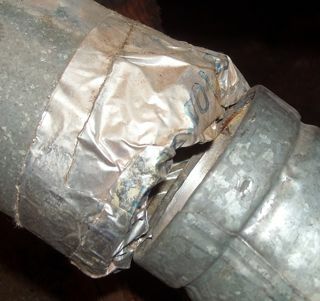 All the pipe joints should be securely connected and sealed to be air tight. 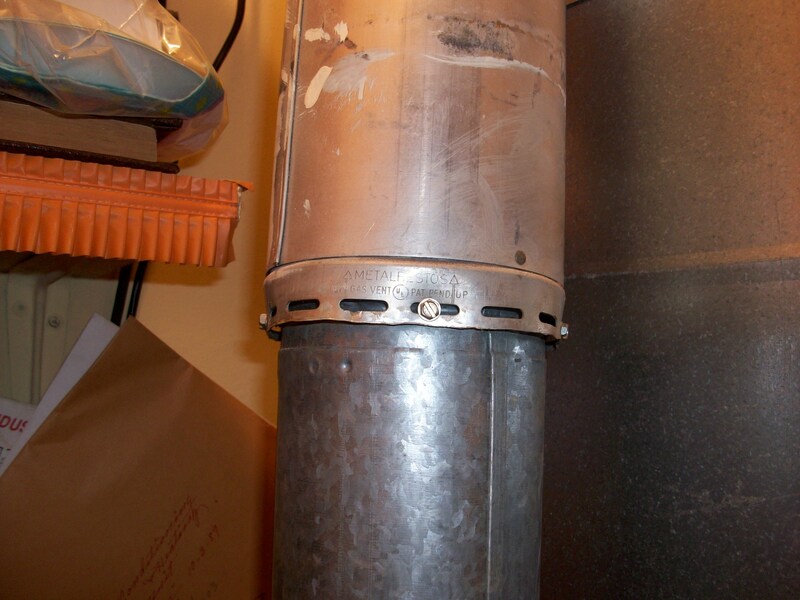 Read the link on Clothes Dryer Design for details of the standard dryer vent. 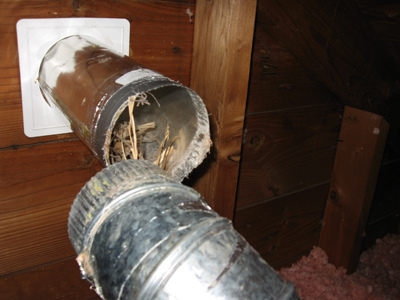 An unsealed dryer vent can cause excessive moisture, humidity as well as an ugly mess. Bathroom Vents: Typically 2″-3″ tin pipe. It too can be vented through the roof or wall. 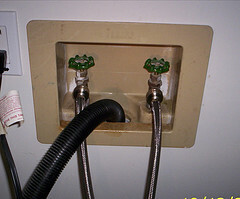 Unsealed bathroom vents are similar to Dryers in that they can cause excessive moisture and humidity. 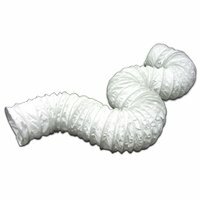 Plumbing Vents: These will have a different appearance than other vents as they will be either PVC plastic, cast iron or heavy galvanized pipes. They are typically very rigid and will be near or above almost all plumbing drains, toilets, sinks, showers and tubs. It’s not as common to find these vents disconnected or unsealed, but possible. Unsealed plumbing vents will release unwanted sewer gas including a mixture of ammonia, methane, carbon dioxide, hydrogen sulfide and a little sulfur dioxide, all considered toxic. Wood Stoves and Fireplaces: Many new style non-masonry style chimneys are just huge vent pipes (6″ to 12″). These pipes are designed a bit different and if installed correctly will typically not be an issue, but should be inspected in the same manner as any fuel using device exhaust vent pipe. 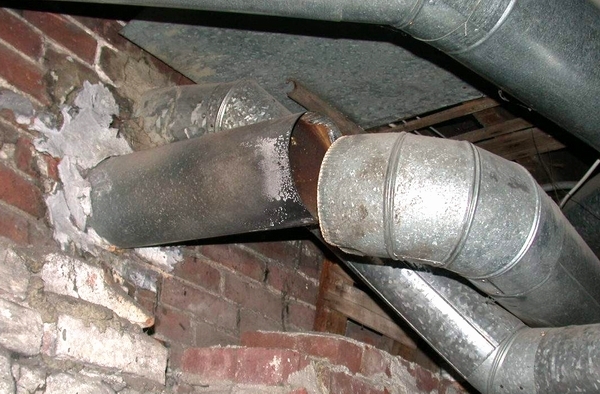 Masonry flues are typically double walled (or should be). If you have had foundation issues or see cracks with gaps of 1/8″or larger, there may be a reason to be concerned. 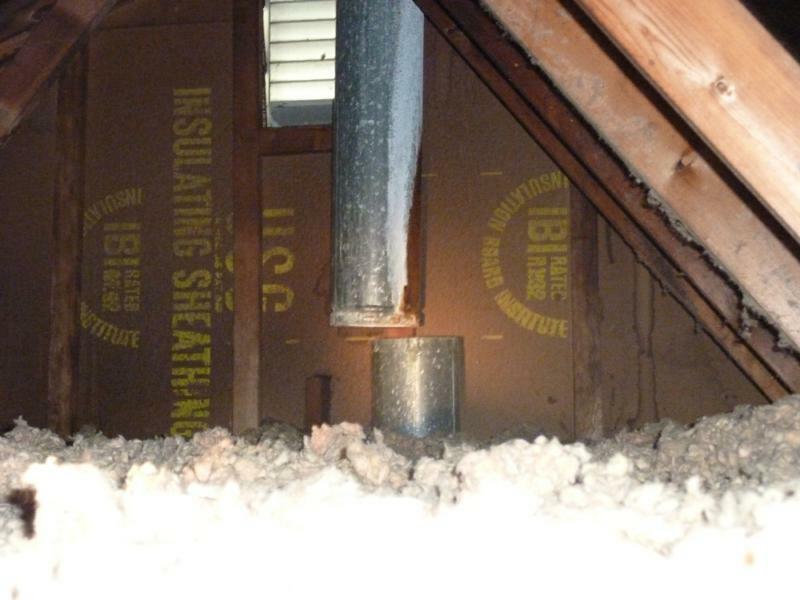 A leaky chimney flue will emit CO into the attic like #1. Portable Heating devices: Kerosene heaters were very popular in the 1980’s, (yes, I still have one). In cases like this, you must crack open a window or door to ensure fresh air is brought into the room as the heater will easily displace the oxygen. Attached Garages: Idling cars with the garage door closed can be a source of CO as it can migrate through the attic into the house. Carbon monoxide is produced by common household appliances. When not properly ventilated, carbon monoxide emitted by these appliances can build up. Red blood cells in the body pick up CO quicker than they pick up oxygen. If there is a lot of CO in the air, the body may replace oxygen in blood with CO. This blocks oxygen from getting into the body, which can damage tissues and result in death. 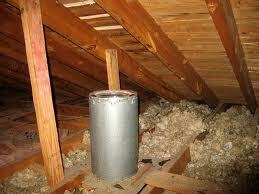 Before entering the attic, (especially the first time), write a note of what vents or stacks you are looking for. It’s very easy to get disoriented once in the attic. The first time you perform this inspection, it could take 45 minutes. Take a good flashlight with you. 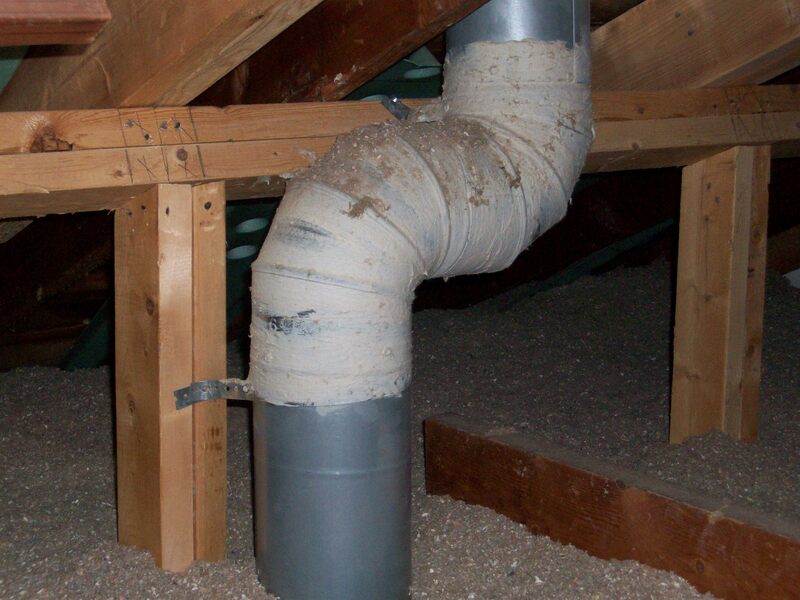 You may also want to wear a long sleeve shirt and pants to avoid contact with attic insulation. Also wear a dust mask and safety glasses. Make sure and stay on the wood rafters or plank pathways as you may put your foot through the ceiling. Note that you may not find a vent stack for each and every device. Especially plumbing devices. Many times plumbers will combine these together before they enter the attic. This is an acceptable method. Any one of the following eight pictures is somethings you may find. Unsealed, disconnected, open-ended pipes, pulled connections and just flat-out don’t exist. You may even find a section of pipe just laying in the attic. 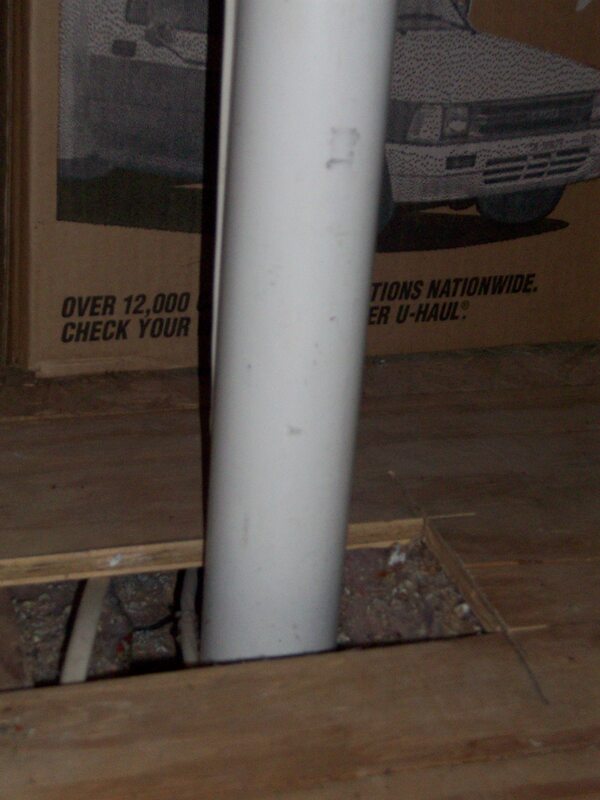 If so, look for a buried vent stack coming out of the ceiling and an associated roof vent with nothing connected. 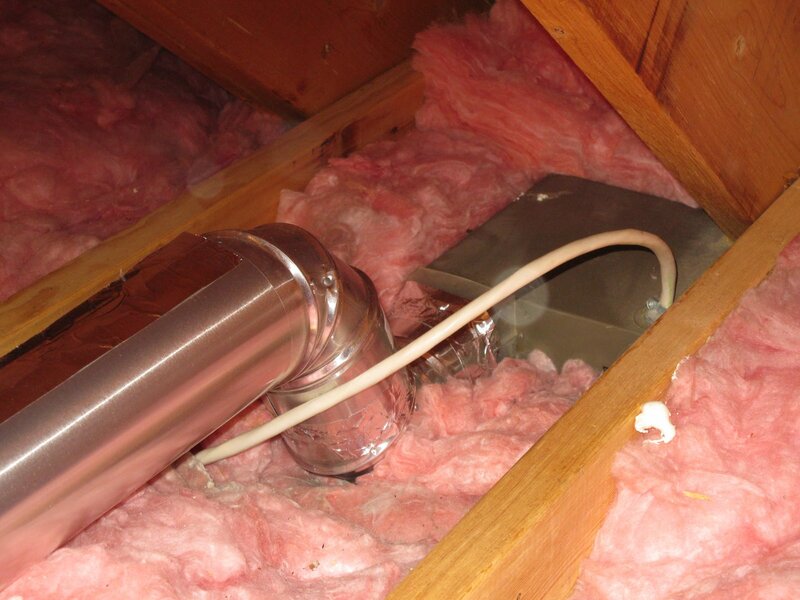 The intent with any of these vents is to achieve an air tight seal. In cases where the joints are secure but open, using Aluminum Foil Tape will properly seal the joint. 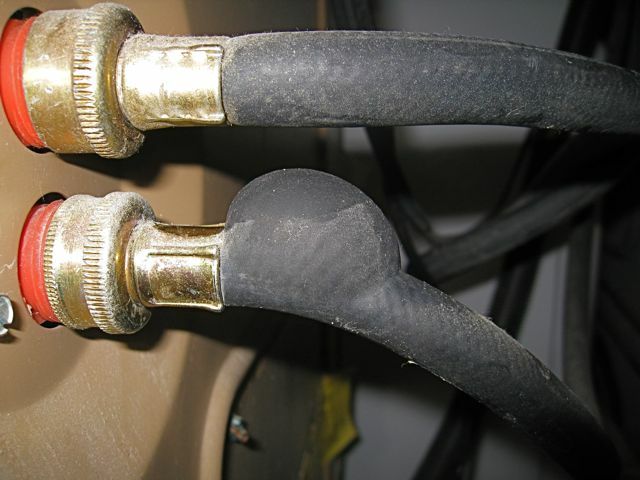 If the joint is disconnected, secure it with screws or expanding hose clamps, then seal with the tape. If the pipe does not go anywhere, you will need to build or create one. This is a mid-level DIY project, professional handyman or even plumber. If you plan to do it your self, look for data on the device being vented for recommendations or requirements for the associated venting. And lastly, buy a CO detector for the interior of the house. These look very simular to a smoke detector and can be installed on wall ceiling of placed on top of a piece of furniture. They can be purchased on line or at the orange box store. You are currently browsing the archives for the Appliances category.